You spend most of your day looking at business proposals and assessing risk. 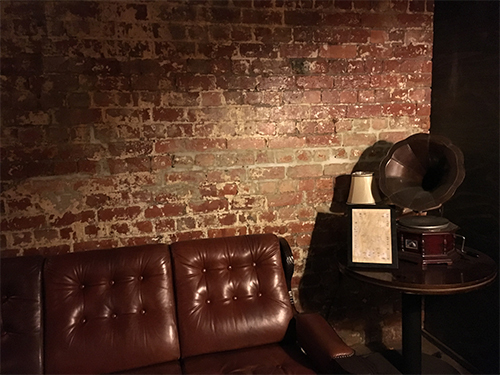 How do you go from that to designing escape rooms and owning one of the most innovative entertainment venues in Melbourne? I have a very traditional career, sitting behind a desk at NAB for most of the day. I never intended to own my own business and never thought of myself as an entrepreneur, but TRAPT allows me to tap into my creative side and that’s a really nice balance to what I do at NAB. It all started with a dinner. 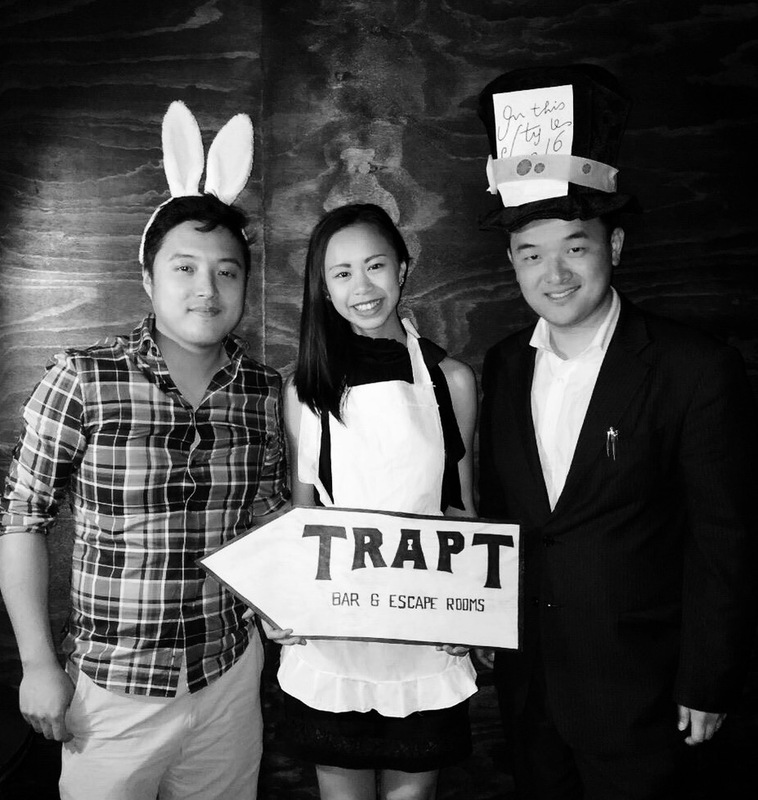 One of my friends had just returned from Hong Kong and was telling us about an escape room he had tried and two hours later we were standing in the venue (then a Korean sports bar) that less than a year later would open as TRAPT. We did some recon in Asia and quickly took over the lease. We didn’t think about the concept of being business owners or entrepreneurs. He wanted to sell immediately so we had to decide – either take it or you leave it. So you took it and though it wasn’t the career path you planned, you had become a business owner. What about your job at NAB? How did you balance everything? In hindsight, I honestly have no idea how we did it. Friends and colleagues were buying homes but we went down a different path; we were passionate about turning our idea into a reality. We were all lucky to have supportive workplaces. At the beginning, we would leave our day-jobs, go straight to TRAPT, work there until about 2am and repeat. This went on for about six months. We knew early on that we didn’t want to give up our careers so a core part of our business model was developing the management team, who would run the operational side of the business. I’m still the primary game designer as I love the creative aspects. Currently, we have four unique products and a one-time user experience so we knew we would have to keep changing things up. The Melbourne market has turned out to be bigger than we initially thought with about 700 people per week coming in for TRAPT experiences. 70 – 80% of them have never played or heard of escape rooms before. I have learned a lot from big corporate models through my job at NAB and it's been invaluable to develop a framework to quickly assess business merit. However, I also have to be cautious not to get into the mindset of avoiding risk altogether and, instead, become comfortable with uncertainty and mitigating risks. You talk about how supportive your colleagues at NAB were, enabling you to be flexible with hours. What do they think of your second life? They were resistant to being the guinea pigs at the start but they were actually one of the first groups I brought through the Alice in Wonderland experience. It took two and a half hours to complete and I think that was largely to do with the fact that everyone thought through the riddles in a very similar way. In their defence, it's certainly out more challenging experience. It’s a great team-building activity, not only because you’re working together to get out of the room, but also because there’s a great space to debrief afterwards in the bar. 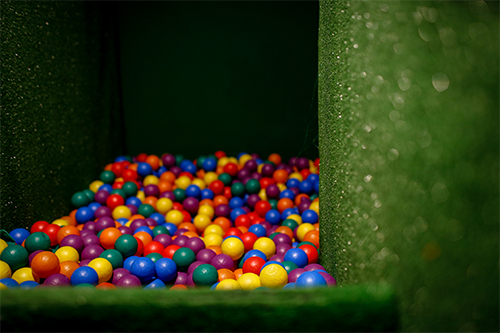 Because we’re a licenced venue our customers are all adults so we endeavour to keep the difficulty level high and really challenge our guests. Although we came close, I was TRAPT in one of the “easier” rooms, Transylvania. Your games rank pretty high on the difficulty scale with an escape rate of 30% or less. And any insider tips for getting through unscathed and escaping within the allocated 45 minutes? Lots of people overthink the riddles and the trick is to have a really diverse team. You want to avoid teams with lots of people who think in a similar way so mix the teams up as much as you can. It’s interesting with work groups, you’ll often see the workplace dynamics played out in the room. You’ll have the leader, the quiet solver, the watcher, etc. It’s a logic based experience so even if you don’t get out you’ll still be able to contribute. We did some rooms in Asia when we were doing our recon and I have to admit some of the answers didn’t seem logical to us. I design the rooms for Melbourne specifically and try to make sure everyone comes out feeling like a winner! It was really important to us to establish TRAPT as a place of fun and play. In a society that's increasingly isolated behind screens, TRAPT is designed to bring people together to interact with each other and their environment. It's a unique proposition that I really value at a personal level in our digital age and it's fantastic to have a drink at the bar on a Friday night and hear people laughing and having a good time. What advice would you give anyone considering a similar career path? Pick and choose what advice you listen to. I’ve done a lot of things I was told I couldn’t do. “You can’t have a full-time job and set up a business.” I did. “Are people really going to want to pay you to lock them up?” Apparently, they are. Choose carefully who you listen to and take on board the advice that’s right for you. Although advice is nearly always well-meaning, when you're starting out on a new venture, it's best to spend time with people that encourage and support you. It was also really important to be transparent - it's hard to get support if people don't know what you're up to! I told my colleagues at NAB exactly what I was doing, managed their expectations and established my willingness to hear feedback if at any point they felt TRAPT was causing issues. I think in general there are a lot of benefits to being really open in business and in life. Gabrielle Lim is an alumna of the Bachelor of Commerce, Finance and Management. She graduated in 2011. She will host the Copland Scholars Network at TRAPT on 26 July for their upcoming reunion. Join the Copland Scholars Facebook group to learn more.